Fore more information about the spinal cord injury program, please call (865) 331-3600 . A Spinal Cord Injury in the Family: What Can We Expect? 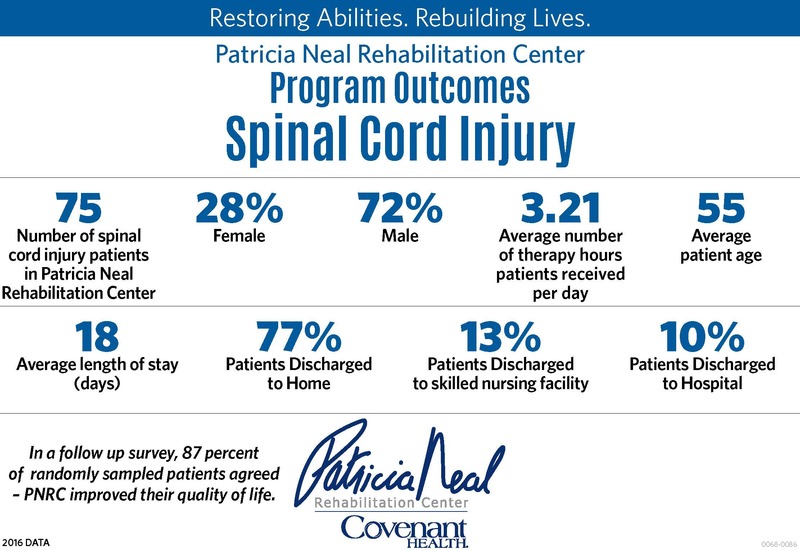 The Patricia Neal Rehabilitation Center’s Spinal Cord Injury Program is designed to assist those disabled by spinal injury and disease to recover the greatest degree of functional independence and highest quality of life possible. The program is interdisciplinary and requires intensive involvement by the client and family in goal-setting, therapies and evaluation. Prior to treatment being initiated, a comprehensive evaluation by the clinical team is completed. The clinical team including patient and family will determine a treatment plan focused on returning the patient to the highest degree of function and independence. The core interdisciplinary team consists of a physiatrist which is a M.D. with specialty training in physical medicine and rehabilitation, Registered Nurse, Occupational Therapist, Physical Therapist, Speech Language Pathologist, Psychologist, certified Therapeutic Recreational Specialist, and a Case Manager with either a background in Nursing or Social Work. TThe individualized treatment may include individual and group education as well as spinal cord injury support group. Additionally nutrition, clergy, respiratory, wound care, orthotic/prosthetics and peer support are available. As part of being located within a regional medical center, each patient has access to consultative medical services, such as urology, pulmonology, neurology, etc as indicated. 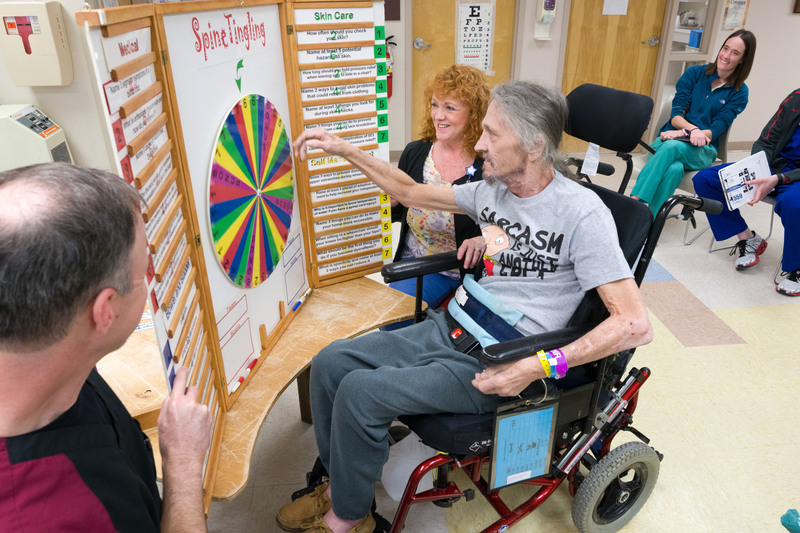 Outpatient services are provided by dedicated experienced staff that are aware of the unique and specialized needs of those disabled by spinal injury or disease. PNRC’s Follow-up Clinic is designed to meet the lifelong needs of the injured person. The SCI Follow-Up Clinic appointments are made by calling by the Rehab Physician’s Office at (865) 331-1167.